The Screaming Penny: 100 Free (and free shipping!) business cards from Zazzle! 100 Free (and free shipping!) business cards from Zazzle! 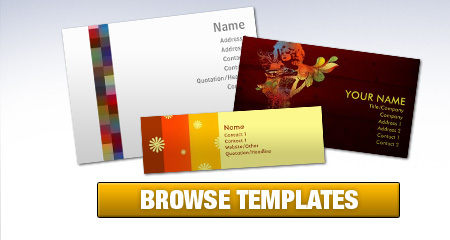 Zazzle is offering 100 FREE business cards HERE. You have to choose cards that are normally priced at $16.95 or less to get them free. Really any of the normal sized Business cards are generally $16.95. Just head over to ZAZZLE to get your 100 FREE Cards. Use the code: ZAZSHIPSFREE for free shipping. You will have to put in your credit card info in--I use a prepaid Visa card for just such instances. For some reason paypal doesn't seem to work. If you don’t see $16.95 taken off in the area where making your card, find a new business card. Once you get to the final page (BEFORE SUBMITTING!) Change the shipping to "FREE – ECONOMY", that will take off the $7.95 shipping. for $0.00. Today is the last day for the free shipping code. Thanks, CouponersUnited!